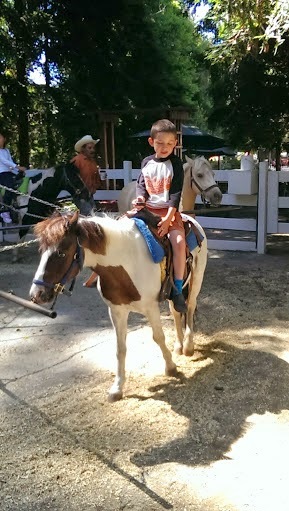 A friend's little brother was turning four last weekend, so we got to go to a Pony Party at Lemos Farm! ...in January 2009 when the very same kid turned 2! Yikes!